This time of year, I’m focused on easy meals made with in-season ingredients. It’s always important to eat what’s fresh, but in the summer that’s much easier to do. And in the scorching heat no one wants to stand over the stove for 2 hours or heat up the house through an oven that’s roasting for 3 hours. I usually go to the farmers’ market on Saturday and I buy what catches my eye. I have a friend, Jan, who meets me at the market sometimes and as soon as I buy something she asks me what I’m going to do with it. It’s a great question, but the truth is, I don’t go with a plan. I buy what looks ripe and colorful, and then I design my cooking plans around it. I’m always drawn to Cubanelle peppers. There’s a stand at my favorite market, which offers tables packed with anything from gorgeously speckled pluots to fiery red Roma tomatoes. 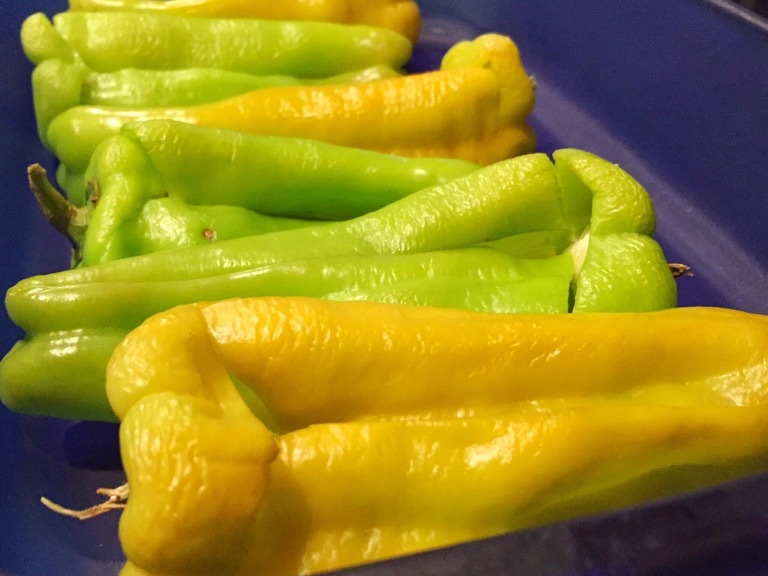 I’ll usually find just a few baskets of Cubanelle peppers there and I always have to buy them.This variety of pepper is long, lime green, and usually sweet. It looks like it would be spicy, but it’s not. The walls are relatively thin, too. The flavor is close to the bell pepper. Italians call the Cubanelle a frying pepper. 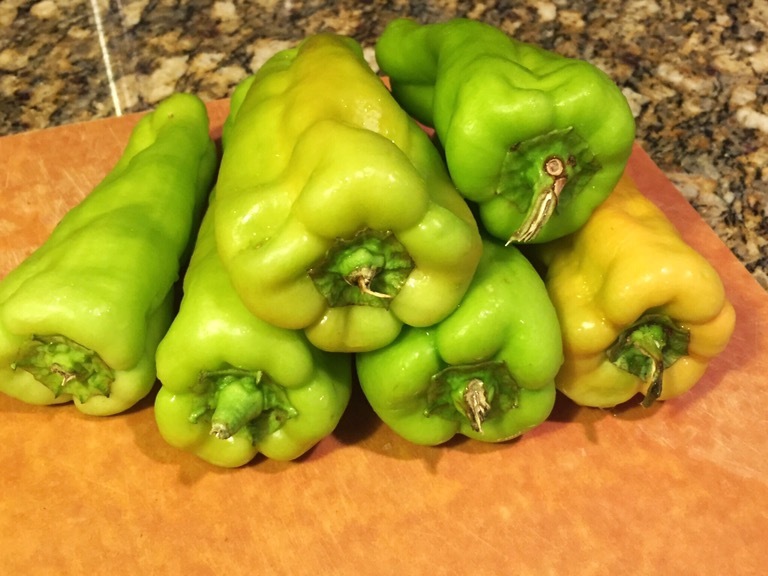 Some supermarkets will sell them as “Italian frying pepper.” While the Cubanelle pepper is wonderful sliced and fried with onions for sausages and peppers (I just drooled onto my iPad screen), I love to stuff it. I’ll get up before work, make the filling, bake the peppers just to soften them, and then stuff the peppers. When I get home, I bake them just long enough to warm them through and melt the cheese on top. First of all, let me just tell you how much I love this Ready Rice. 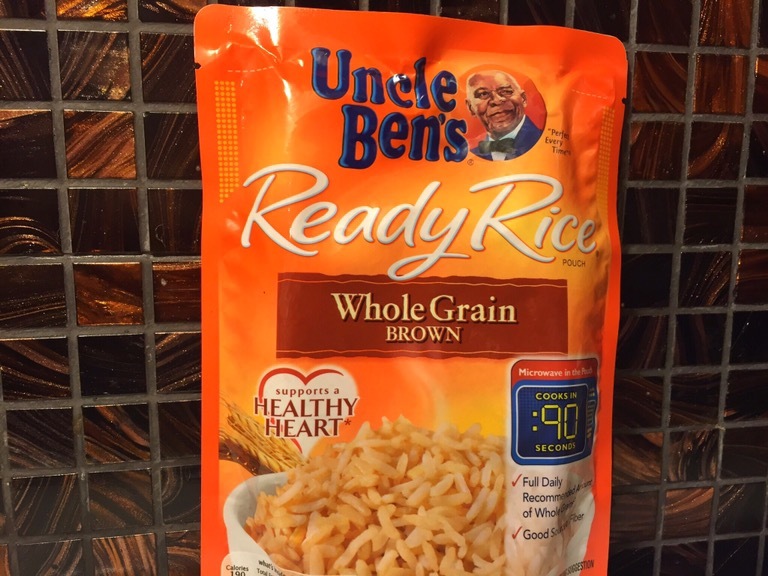 It is so simple… 90 seconds in the microwave and you have perfect brown rice. No boiling. No waiting. No over-cooked, mushy rice. If you can’t find it, you can substitute a little over a cup of your favorite cooked rice. Put the oven on 400. First, use a paring knife to carve a Y into the pepper. Don’t cut all the way through. You’re just opening the cavity. Carefully pull open the sides and remove the seeds and membrane. You want the pepper to stay intact. Don’t cut off the stem! Presentation is important! 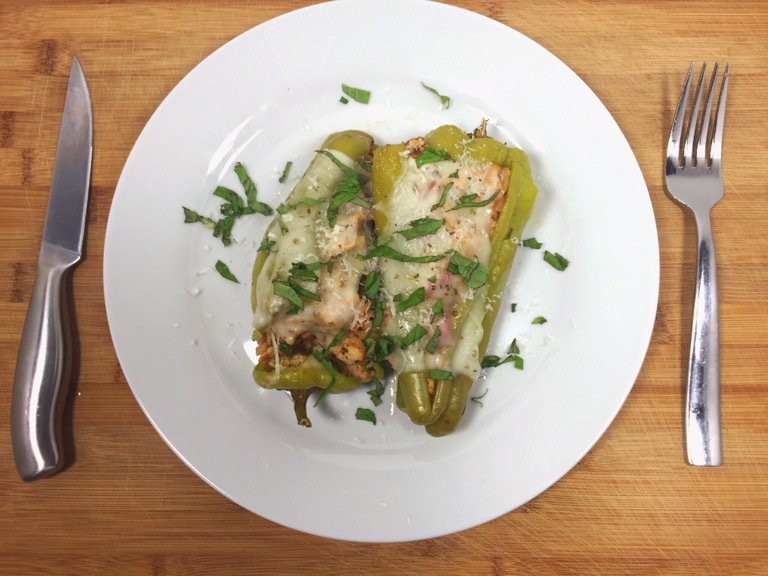 Line up the seeded peppers in a 9×12 baking dish. Bake in the oven for about 15 minutes or until the peppers are somewhat soft. Remove the dish and let the peppers cool while you make the filling. In a large pan over medium heat, pour in the oil and add the diced onions. Sprinkle in some salt and pepper, and stir. Let the onion cook for 3-4 minutes. Add the turkey to the pan and break it up with a wooden or metal spoon. Let the turkey cook until you can’t see any pink meat. Add in the garlic. Stir. Let the garlic cook for about a minute, then add the tomatoes. Stir and scrape up any brown bits on the bottom of the pan. Microwave the rice according to the package instructions. 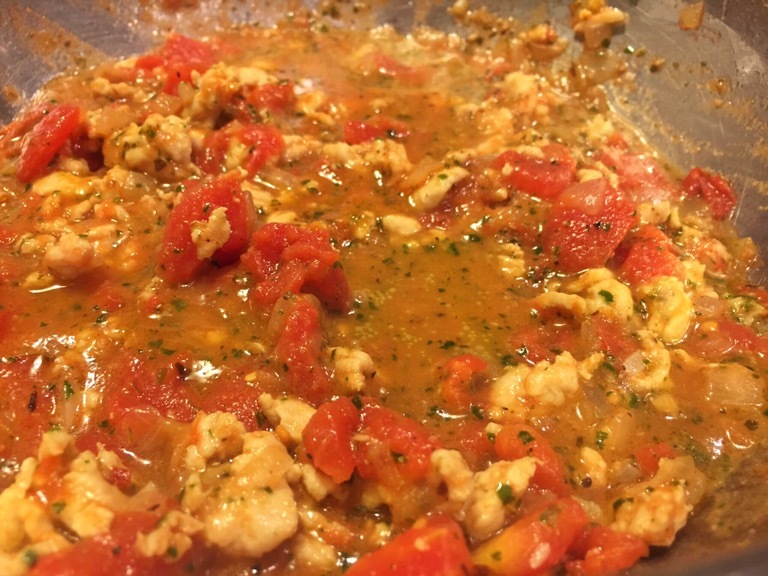 Add the spices and pesto to the tomato and turkey mixture. Stir. Add another pinch of salt. Stir. Let the mixture cook for about 7 minutes, then add the cooked rice stir. Taste it. If it needs more salt, add some. Now, stuff each pepper. I mean, stuff them. They should be bursting. You may have a little filling left. Eat it right now. Trust me on this. I don’t care if you’re doing this in the morning before work. 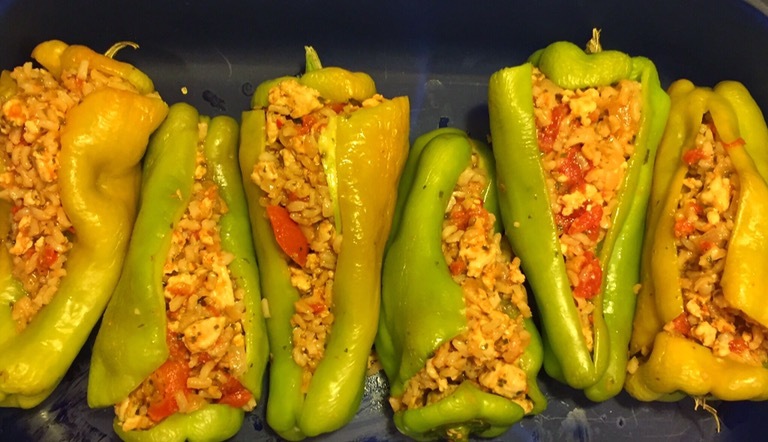 If you are making his ahead, cover the stuffed peppers and refrigerate them till you’re ready to finish them. If you’re making this at dinner time and want to get the show on the road, put the oven on 350, cover the the pan with foil and put it into the oven. 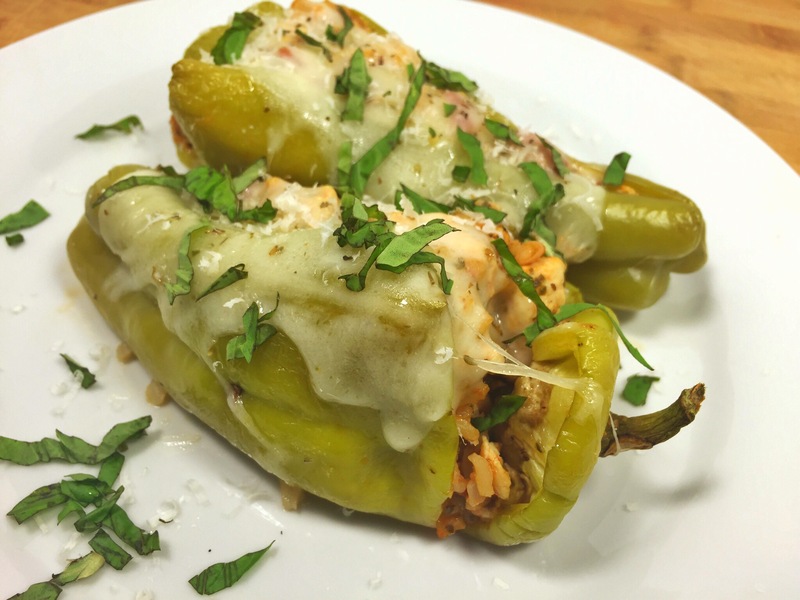 Let the stuffed peppers cook for about 10 minutes (remember everything is still hot since you just made it). 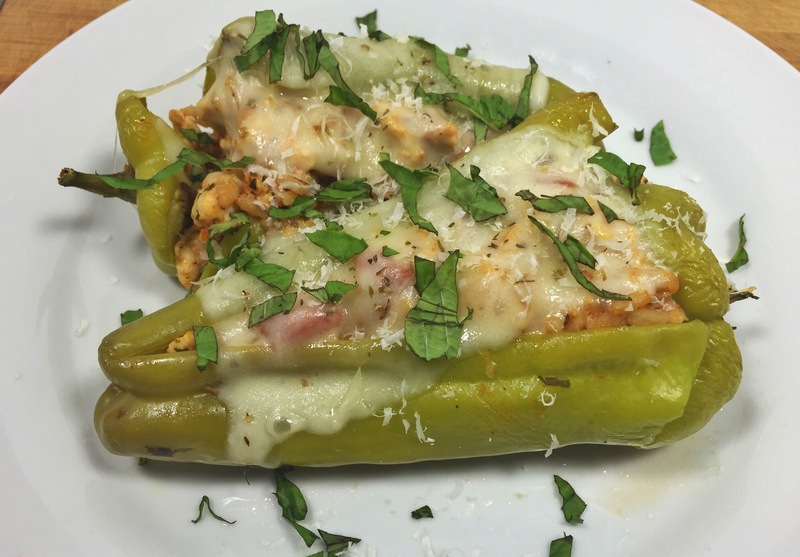 Remove the pan from the oven, remove the foil, and top each pepper with half a slice of the deli cheese. If you have enough and you want to put a whole slice on each pepper go ahead. I won’t judge. Put the uncovered pan back in the oven and bake till the cheese melts, about 7 minutes. Serve the peppers with a sprinkle of basil and Parmigiano-Reggiano (If you have it. You do, right? Right?). 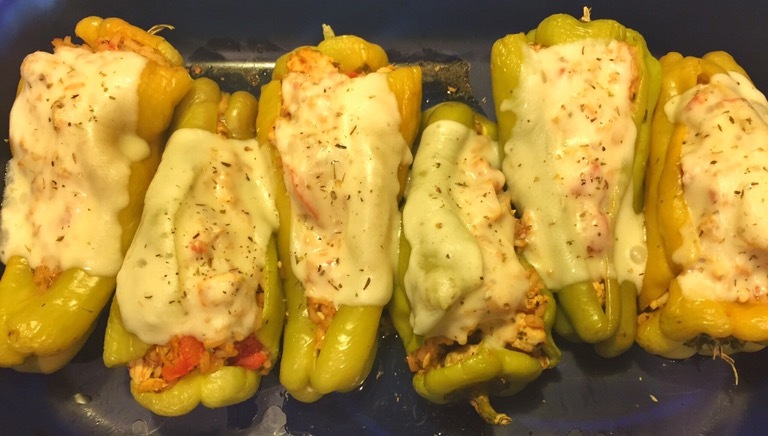 If you’re making the peppers ahead, you’ll want to bake them covered at 350 for about 30 minutes, then add the cheese, and bake them uncovered for an additional 7 minutes. I give each person 2 peppers, so this technically makes 3 servings. That’s dinner for my partner-in-cuisine-crime and me, and then lunch the next day (2 for one of us or 1 for each with a salad). 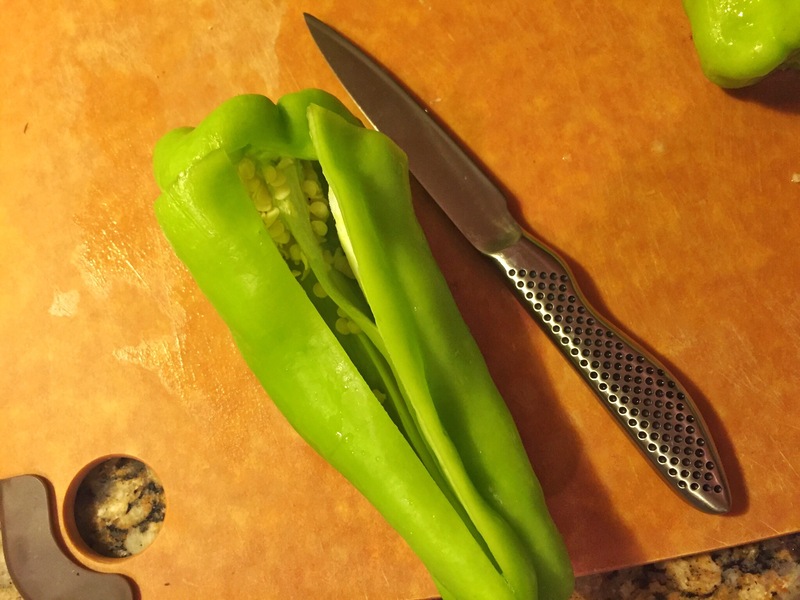 You can easily stuff more peppers to make more servings. Just be a bit more conservative with the filling. You can also give each person one pepper at dinner and serve it with a salad on the side. This is a pretty light meal, even if there is rice involved. A light meal means you’ll have room for a cold beer on the patio or a big scoop of ice cream. It’s summertime, remember? Tip: Substitute the ground turkey for ground sausage or ground beef. 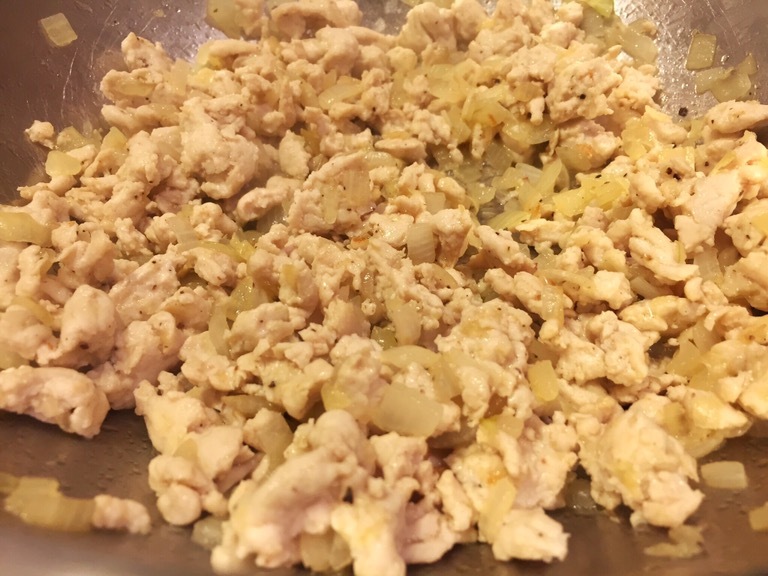 I used turkey to save on fat and calories. You could also go vegetarian and use chopped zucchini or eggplant or canned cannellini beans.